Every year the Pacific Crest Trail (PCT) receives thousands of hikers, adventurers, and nature seekers from all over the world. Along its 2,650-mile length stretching from Canada to Mexico, the PCT winds through five national monuments, six national parks, five state parks, 25 national forest units, and 48 federal wilderness areas. Surrounded by such ancient beauty it’s easy to forget that the trail itself is a human creation. This simple dirt path is the result of decades of meticulous research, planning, and cooperation between thousands of individuals spanning generations and administrations. However, something as grand and complex as the PCT actually began as a chance conversation. Joseph T. Hazard was a well-traveled outdoorsman. A veritable veteran of the northwestern wilderness, he’d tackled numerous ascents and served as a guide manager at Mount Rainier’s Paradise Inn for several years. He was also known as a prominent member of the Mountaineers, a respected mountain climbing organization in Washington formed in 1906. On Jan. 13, 1926, Hazard found himself in Bellingham, WA, not for another climb, but rather to make a sale. As a textbook salesman, Hazard had set up a presentation at the Washington State Normal School. Here he met with the school’s supervisor of primary grades: Catherine Montgomery. “Oh that! Before your call I had considered them the best–I still do! But why do not you Mountaineers do something big for Western America? This conversation became the earliest documented proposal for the PCT. According to Hazard, that very evening he took Montgomery’s plan to the Mount Baker Club of Bellingham where “favorable action was taken.” The remaining mountain clubs of the Pacific Northwest soon followed suit. They contacted all of the local outdoor organizations, all of which adopted the project with “enthusiasm and organized to promote it.” With the cooperation of the United States Forest Service (USFS), the mountain clubs began focusing on planning the northern unit of the trail from the Canadian border to the Columbia River in Oregon. Despite this start, efforts for the PCT wouldn’t start to gain real traction for another two years. Fred W. Cleator was one of the Northwest’s leading recreational planners. As a ranger with the USFS he mapped trails and recreation sites all across the Northwest. In 1928, the USFS appointed Cleator as supervisor of recreation for the Forest Service, Region 6 (Oregon and Washington). As a 20-year veteran with the Forest Service this was not a surprise. By this time Cleator already had a number of significant projects under his belt. Eight years before his appointment he was largely responsible for mapping the Oregon Skyline Trail. Cleator set out traveling by pack horse and communicating via carrier pigeon while mapping a 260-mile route from Mount Hood to Crater Lake. This trail would go on to become known as the first developed section of the PCT. After his appointment as supervisor Cleator did not slow down. He quickly set to work developing Washington’s Cascade Crest Trail, stretching from Canada to the Columbia River. Cleator also returned to the Oregon Skyline Trail during his tenure, extending the trail north from Mount Hood to connect with the Cascade Crest Trail and south from the Crater Lake to the California border. Though not designated on a federal map until 1939, Cleator had already helped establish the trails that would become the northern unit of the PCT from Canada to Northern California. During this time of progress in Oregon and Washington, development in Region 5 lagged behind. Unlike the Northwest, California still lacked what all ambitious outdoor projects need: a good advocate. 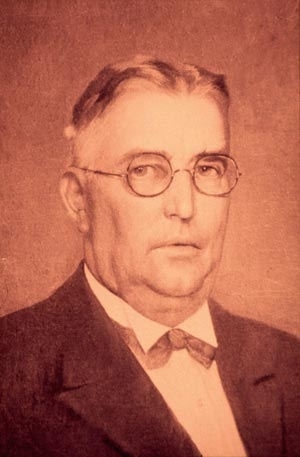 Clinton C. Clarke arrived on the scene in January 1932 when he and other interested parties formed the Mountain League of Los Angeles. Their purpose was to stimulate interest in outdoor recreation and the protection of natural resources. By April, Clarke had become chair of the league’s executive committee. It wasn’t until the Mountain League’s Aug. 26, 1932, meeting that Clarke would propose his vision. 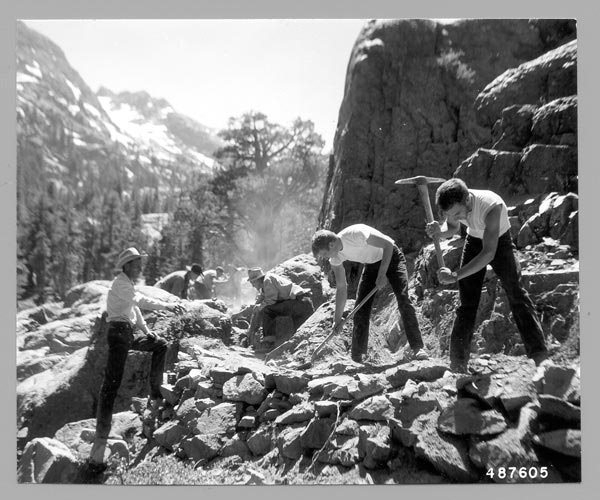 Earlier that spring the club had already decided to dedicate efforts toward extending the John Muir Trail. Development for this High Sierra trail started 17 years prior but was approximately only 200 miles in scope. The Mountain League project sought to extend the trail south to the Mexican border, but Clarke’s plan was much more ambitious. Clarke wanted to expand the project for more than 2,000 miles, from Mexico to Canada, by bringing together a series of existing trails akin to the Appalachian Trail of the East Coast. Simply known as the “Extended John Muir Trail,” he proposed a continuous wilderness trail following the mountain divides of the Pacific Coast located primarily on public lands and protected by the national government. In less than a month Clarke had achieved enough support from the Mountain League to move forward. However, to turn the EJMT from a vision into a reality would require support from numerous organizations. For Clarke, the EJMT was more than just a wilderness trail. It was literally the last frontier. In Clarke’s mind, this trail was nothing short of sacred. It wasn’t a simple trail to a beautiful view, nor was it just a means to enjoy the majesty of a greater park or forest. Clarke believed a pioneer spirit was an integral part of America’s character and identity; something dwindling through the modernization of civilization. As the cliche states, it wasn’t about the destination. It didn’t matter what section, or for how long. Just as long the journey was on the trail, that would be enough. We know little about Clinton C. Clarke’s life before his advocacy for the PCT. Available records do tell us that the Chicago native was born on Sept. 3, 1873. He spent his early years exploring and growing up in the northern wilderness of Wisconsin and Michigan. He eventually ventured to Massachusetts, where he attended Williams College, receiving B.A., and later an M.A. from Harvard. Clarke finally made the move west in 1900 settling in Pasadena, CA, where he co-founded the Pasadena Playhouse and became heavily involved in the local Boy Scouts organization. It is unclear who, what, or where Clarke first became enamored with the idea of a border-to-border trail, but one theory points back to the Mountaineers. These early PCT advocates attended many trail events in the Los Angeles area. Given Clarke’s involvement with the Mountain League and the Boy Scouts, it is not unlikely that he may have attended the same events, rubbing elbows with advocates from the Northwest, possibly even Joseph T. Hazard himself. Regardless, Clarke would soon to prove to be arguably the most significant advocate in the PCT’s history. Clarke began putting his passion to paper, writing letters to officials from the National Park Service (NPS), USFS, Sierra Club, and Civilian Conservation Corp (CCC) seeking more widespread endorsement for the project. During his correspondence, he offered management of the project up to the NPS, but the agency felt the project did not fit their scope. He petitioned USFS officials for a five-mile wilderness area around the JMT (and by extension the EJMT), but they did not warm to his proposal. For the next two years, Clarke found himself in a constant back-and-forth making incremental progress with various agencies and conservation groups, slowly bushwhacking through enough bureaucracy to achieve a proper foothold for his project. However, Clarke began to hit a roadblock regarding the trail’s name. 1945 .ap of the Pacific Crest Trail found in Clinton C. Clarke’s book, Pacific Crest Trailway. Many of those Clarke reached out to were not thrilled with the idea of calling the project the “Extended John Muir Trail.” They argued that the name did not properly represent a true border-to-border trail. There was a feeling that the name was too heavily associated with California. H.C. Bryant, assistant director for research and education for the NPS, felt that trail’s name should evoke a similar feeling to the East Coast’s Appalachian Trail. He wrote to Clarke in the fall of 1934 proposing that the trail should have a single, distinctive name. He included some suggestions such as the Cascade-Sierra Trail, the High Pacific Trail, and the Pacific Crest Trail. Growing weary of too much time spent debating a name rather than the trail itself, Clarke finally submitted and supported the trail’s new designation as the Pacific Crest Trail. With the name laid to rest, Clarke put his next steps into motion. It became clear that NPS, USFS, and other organizations were either unable or unwilling to manage the PCT project. If the project were going to gain sufficient traction it needed a formal organization to support advocacy and organize development efforts. So Clarke proposed a gathering of delegates from all interested parties to establish an official plan of action for the PCT. On June 9, 1935, the Pacific Crest Trail System Conference (PCTSC) was officially established, composed of members from local, private, and government organizations. The PCTSC was naturally modeled after the Appalachian Trail Conference (ATC), the organizing body the Appalachian Trail. The conference determined they would move to incorporate into the PCT route the existing 445-mile Cascade Crest Trail, 185-mile JMT, 442-mile Oregon Skyline Trail, 339-mile Lava Crest Trail, 249-mile Tahoe-Yosemite Trail, 137-mile Sierra Trail, and the 406-mile Desert Crest Trail. In addition, the creation of new trails was required in order to eventually connect all of these various segments into one unified trail system. Unsurprisingly, before the end of the conference, the PCTSC established Clarke as its chairman. Clarke had succeeded in creating an organization of like-minded individuals to support his vision, but what of the trail itself? Earlier in 1935, Clarke had published a handbook that laid out the trail’s route in rather vague terms. During the PCTSC, USFS and NPS officials presented this proposed route. Though officially adopted, the route came with a few caveats. Before travelers could be let out on a trail with nothing but anecdotal instructions and a line on a map, the PCTSC would need to establish a team to hike the trail in its entirety. This team would need to directly assess the proposed route providing refinements, feedback, and other suggestions to the conference. Fortunately, the PCTSC would not have to look far. Warren Lee Rogers was a secretary at the Alhambra YMCA. Born in Michigan in 1908, he had been a victim of polio at a young age. Rogers’ affliction began to affect his ability to walk until he received life-altering surgery that repaired his legs. Despite his childhood affliction Rogers was an avid outdoorsman, summiting his first peak, Southern California’s 11,000-foot San Gorgonio Mountain, at the age of 15. Rogers’ obsession with the outdoors led him to a 1932 meeting of the Mountain League of Los Angeles. It was here he watched Clinton C. Clarke present his proposal for a western border-to-border trail, a vision that deeply resonated with Rogers. Rogers and the YMCA agreed to take on the task of organizing the assessment of the PCT’s proposed route. The YMCA had created a camping program that would organize and send out “flag-relay exploring expeditions” to cover the entirety of the PCT route from border to border. The plan was to have each group set out to cover approximately 75 miles of trail, chronicling their journey in a trail logbook. By the end of the trip, the group would compile a report in the logbook that would be then handed off to the next group in the relay. The NPS, USFS, and YMCA helped to encourage young men to accept the invitation of adventure on the trail. They espoused Clarke’s romanticized imagery of the trail as an escape from the monotony of the civilized world and a return to America’s early pioneer spirit. From 1935 to 1938, 40 YMCA relay teams carried an official PCT logbook from Mexico to Canada with Rogers acting as the official trail guide for the majority of the relays. Each relay group consisted of three to five boys ages 14 to 18. Over four summers the relay teams covered approximately 2,300 miles of trail over 193 days, concluding with an official ceremony in Olympia, WA, on Aug. 11, 1938. Perhaps the most notable result of the relay’s four-year evaluation was the creation of the first federally published map of the PCT in 1939. What’s more, these boys proved definitively that hikers could indeed traverse the trail from end to end. The relays also succeeded in catching the attention of the American public. Local media throughout the West Coast wrote articles in support of the relay efforts, eventually culminating in invaluable national exposure for the PCT. Yet, despite these hard-fought victories, development efforts for the PCT would soon begin to lose momentum as the nation’s eyes turned toward events looming across the Atlantic and the Pacific. While the second World War raged, development efforts for the PCT dwindled as able bodies and minds left to aid the war effort. This stagnation would end up lasting much of the next two decades. Maintenance on the trail had all but ceased and many sections began to deteriorate during the war. After the war’s conclusion, the USFS restarted development efforts in Washington and Oregon but was unable to mobilize any significant development in California. As a result, nearly 1,600 miles of trail was left unmanaged for years. Even so, it was during this time that the first thru-hike of the Pacific Crest Trail was completed. In 1952, starting July 4 and ending on Dec. 1, Martin Papendick became the first known person to hike from border to border along PCT. Despite publishing an article about his achievement, Papendick’s hike would largely go unheard by the general public for many years. Several years before the war in 1936 Clarke had become the president of the PCTSC, but the organization began to wither in the following years. He found himself able to marshal less and less support for his dream project. Nevertheless, Clarke never stopped promoting the trail. In 1945 he published The Pacific Crest Trailway; his final publication on the PCT. The book provided maps, histories, and other details to help guide those seeking to walk the trail’s many miles. It would remain one of the most valuable sources of information on the PCT for the next 15 years. Clarke would not live to see the nation’s attention turn once more toward his pet project. He died in Altadena at the age of 83 on Jan. 31, 1957. Later that same year, Catherine Montgomery also passed at the age of 90 on Sept. 17, 1957, likely unaware of the events she had set in motion so many years ago. After Clarke’s death, Rogers took up the cause of completing the trail. He was able to gather together all of Clarke’s files on the trail and continued to collect trail updates. He set up the Camp Research Foundation to help keep the PCT dream alive and continued his advocacy through public speaking events and radio shows. 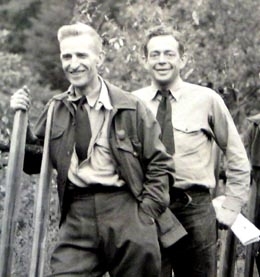 It is largely thanks to Rogers that the PCT did not fade into obscurity during the 1950s. He remained one of the few sources of reliable information on the trail during this period. With the arrival of the 1960s, America began to find itself with a reinvigorated sense of environmentalism and wilderness appreciation. Backpacking once again became a popular recreational pursuit and a fascination with the nation’s wild places once again began to take hold. In addition, books like 1962’s Silent Spring by Rachel Carson had shed new light on the adverse environmental impacts of the postwar chemical industry and its impact on human health. Demand for oversight and regulation was at an all-time high. 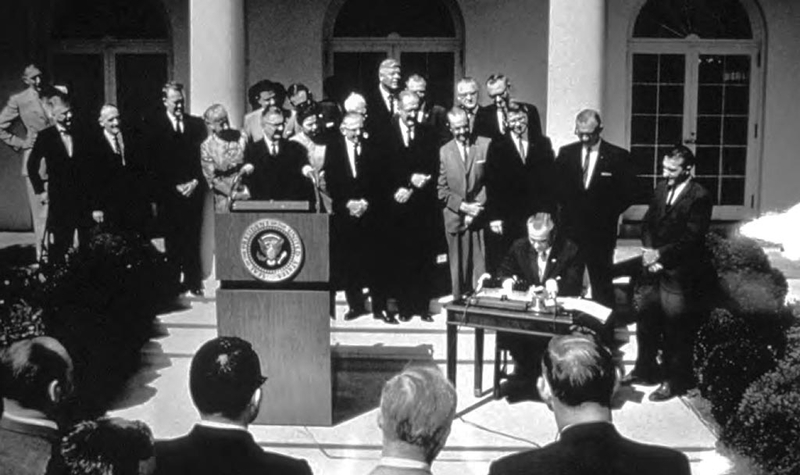 Pressure from this movement resulted in the federal government to start passing eco-focused legislation, such as the 1964 Wilderness Act and the Land and Water Conservation Fund of 1965. Three years later in response to Johnson’s request, Congress passed the National Trails Systems Act (NTSA) “to promote the preservation of, public access to, travel within, and enjoyment and appreciation of the open-air, outdoor areas and historic resources of the Nation.” Officially signed into law by Johnson on Oct/ 2, 1968, the act authorized the creation of National Scenic Trails and National Recreation Trails. It also designated the Pacific Crest Trail as one of the first two National Scenic Trails in the country alongside its sister trail in Appalachia. Though the National Trails Act officially provided federal backing and representation for the PCT, there was still much work to do. It had been decades since Clinton C. Clarke had sketched out the original path of the trail and years of degradation had affected large portions of the trail in California. New routes had to be examined. The trails act initiated the creation of the Citizens Advisory Council to aid in the completion of the trail. This body of citizens was tasked with deciding on details for the trail’s final route as well as determining standards for other aspects of the trail, including trail markers and other logistics. Warren Rogers was appointed to the council in 1970 and would serve for over 16 years. The NTSA appointed the USFS as the managing body for the PCT. They presented a first draft of the route to the council which they had begun re-evaluating in 1965. By 1972 the council agreed upon a “final” proposed route and distributed it to the national forests along the path. The hope was that regional staff could begin marking out the proposed route on the ground. However, for many years the actual route of the trail would remain vague and generalized. Despite its official addition to the Federal Register in 1973, much of the material did not offer clear direction. In some areas, the field work to mark out the proposed route remained incomplete, leaving the federal maps as an ambiguous line on a piece of paper. Nevertheless, USFS maps of the trail’s route became available to the general public in 1972, and the route’s ambiguity did not deter would-be thru-hikers. 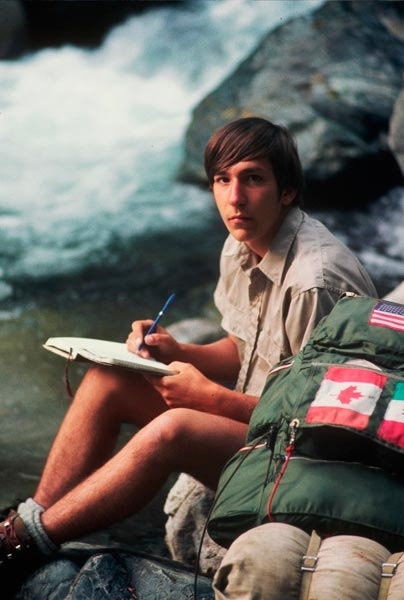 In 1971, 18-year-old Eric Ryback completed a full north-to-south PCT thru-hike. 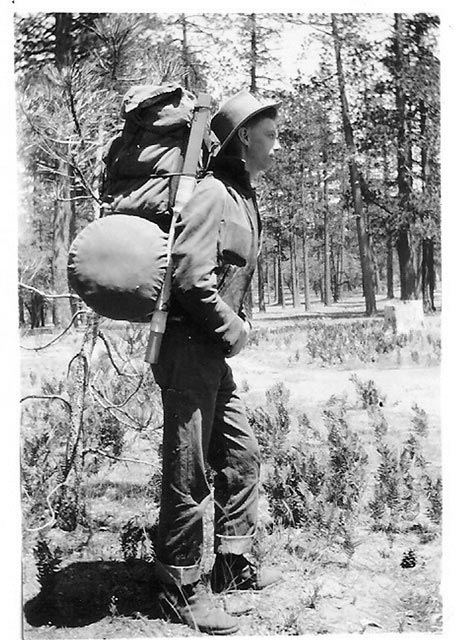 Because Papendick’s 1952 accomplishment was largely unheard of at this time, Ryback became credited as the PCT’s first official thru-hiker for a time. 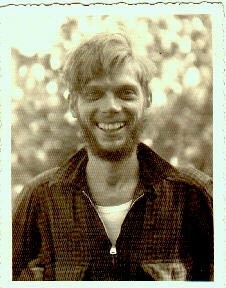 A year later, Richard Watson became the first person to hike the trail from south-to-north, finishing Sept. 1, 1972. 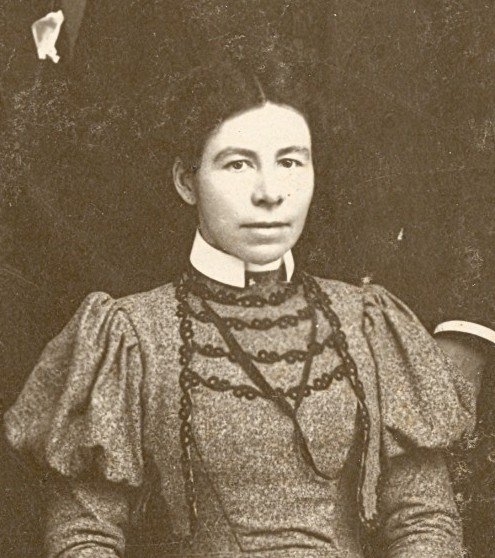 That same year Mary Carstens would become the first woman to thru-hike the trail. Throughout the remaining decade, backpackers would continue to seek out the PCT with great interest. Approximately 27 successful thru-hikes were reported in 1975 alone. Rogers continued with his passion for the trail, starting the Pacific Crest Club in 1972. As Rogers had become a preeminent source of information for the PCT the club helped him organize stories, hiking tips, route changes and more for dissemination to interested parties. By 1977 Rogers merged the club with the newly chartered Pacific Crest Trail Conference (PCTC), a successor organization to Clarke’s original Pacific Crest Trail Systems Conference of the 1930s. The PCTC would later change its name to the Pacific Crest Trail Association (PCTA), which continues advocacy, maintenance, and much for more for the PCT to this day. As time trudged onward into the 1980s popularity for the trail once again began to decline with fewer hikers and thru-hike attempts reported from year to year. Regardless, development of the trail’s remaining segments continued steadily onward. When development efforts initiated after the NTSA some thought that they would see the trail’s official completion within ten years. However, right-of-way and private property disputes in the Sierra Nevada and the Tejon Ranch in the Tehachapi Mountains caused increasing delays that were not resolved until the early 1990s. 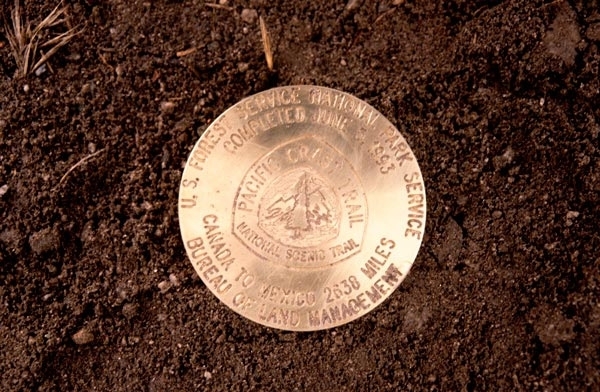 By 1993 the final segment of the PCT was completed. On June 5, 1993, a Golden Spike completion ceremony was held at a small valley in southern California near Soledad Canyon. An actual golden spike was driven into the trail to mark its completion as a single continuous path, a reenactment of the famous golden spike ceremony held to connect the Central Pacific and Union Pacific railroads in the late 1860s. The Pacific Crest National Scenic Trail was officially dedicated 25 years after its designation by the NTSA. Finally, 36 years after its father’s passing and 67 years after Mr. Hazard and Miss Montgomery’s casual conversation, the Pacific Crest National Scenic Trail was complete. Little more than a year prior to the PCT’s official dedication, Warren Rogers passed away on April 28, 1992, at the age of 83. Though he did not live to witness its official completion, Rogers’ love for the trail never waned. At the time of his death, he was hard at work trying to establish drinking water sites for hikers along parts of the trail in the Mojave. Clarke, C. C. (1945). The Pacific Crest Trailway. Pasadena, CA: Pacific Crest Trail System Conference. Hazard, J. T. (1948). Pacific Crest Trails: From Alaska to Cape Horn. Seattle, WA: Superior Publ.Comp. Kjeldsen, J., & Lans, K. (1998). The Mountaineers: A History. Seattle, WA: Mountaineers. Schaffer, J., Schifrin, B., Winnett, T., & Jenkins, R. J. (2003). Pacific Crest Trail: Southern California (Sixth ed.). Birmingham, AL: Wilderness Press. Young, T. (2017). Heading Out: A History of American Camping. Ithaca, NY: Cornell University Press. Thanks for this article – really interesting to read this history and compare to other long trails.